​​Gildersome is a village and civil parish in the City of Leeds 5 miles (7 km) south west of Leeds city centre in West Yorkshire, England. Gildersome was an urban district, established in 1894. In 1937 it was absorbed into the Municipal Borough of Morley. In 1974 the borough was abolished and combined with neighbouring authorities in the City of Leeds. ​ Click on the map (below) to zoom in. 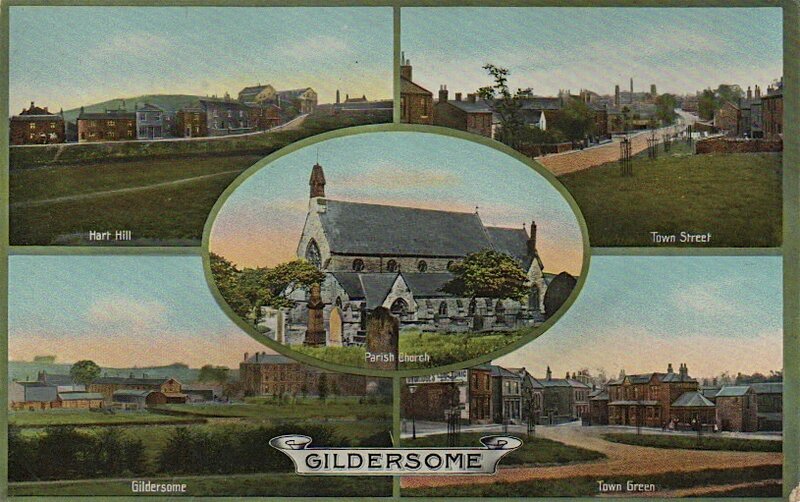 ​My mother's family, the Bilbroughs, lived in Gildersome for over one hundred and twenty years (1770 - 1900). While researching my family's history, I accumulated a great deal of material related to their village. Since Gildersome's history on the internet has been sparse, piecemeal and often incorrect, I hope this website will bring together those web references and my own research, in a logical and interesting yet informative manner. Special thanks go to Brian Appleyard in Perth, Australia and John Bedford in West Yorkshire for all their help ! Special thanks go to Andrew Bedford, the History of Gildersome's new contributing writer! "Morley, Ancient and Modern" : ​Written by William Smith F.S.A.S. published in 1886. Searchable. "The Registers of Topcliffe and Morley in the West Riding"
"Rambles About Morley" Click on the cover page right. ​"History of Gildersome and the Booth Family" ​: Written by Philip Booth and completed in 1920. Though it contains some detailed genealogy on the Booth family of Gildersome, it also is the best source for historic fact. I urge all those interested in Gildersome history to read it or at least browse its pages. In 1999, Damian Fox did a reprint, cleaning up mistakes and formatting errors. This completely searchable digital copy presented here is that reprint, digitized by Peter Booth. Click on the cover page right. "History of the Baptist Church at Gildersome" : Compiled by William Radford Bilbrough and published in 1888. Not Searchable. This copy was in the safe in the office of Gildersome Baptist Church. The church wardens were kind enough to let me photograph the pages with my digital camera. The lighting was bad and I was in a rush so I missed a page or two and others are blurry. Oops! It's a big file and takes a little bit of time to load. Sorry! ​ Click on the cover page right. Norrison Scatcherd's "History of Morley"
​Ministers, from the Earliest Times"
​​"Journey of a Lost Manuscript"
Click on photo to go to the Website. When an old parchment was found inside a copy of Alice in Wonderland in a second-hand bookshop, everything about it was a mystery. 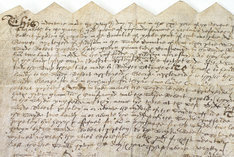 Discovered to be an Elizabethan manuscript, this is the enthralling story of its travels from Gildersome, Yorkshire in 1583 to Warrnambool, Victoria in 2013. 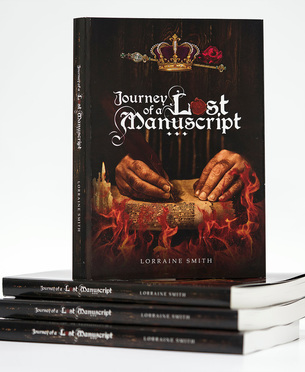 It is a journey with so many twists and lucky escapes it should be a novel - but this is a true story. If you wish to leave a comment, please fill out the form below. Receive email notifications when new items have ​been added to this website.